Come and join us for our church wide monthly prayer meeting. This month our prayer meeting will be incorporated into the 6.30pm Sunday Service on the 3rd of March. 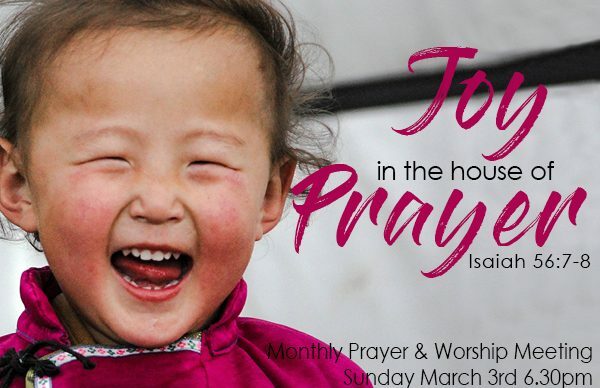 The theme for March is Prayer – “These I will bring to my holy mountain and give them joy in the house of prayer.” // Isaiah 56:7. Monthly Prayer Meeting. Sunday, March 3rd, 6:30pm.